You will love it, once you get over the shame of how absolutely boring and archaic your own resume is. Maybe after I get through with all these tax documents and w-hatevers, I’ll take a whack at my own resume. 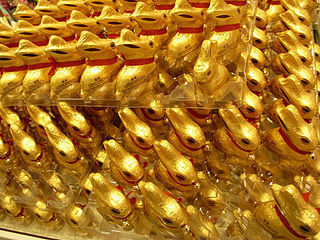 Maybe I’ll engrave an edible resume on a slab of chocolate to submit to Cadbury, See’s, Lindt, Dove, and Ferrero-Rocher. Surely they need experienced tasters. Or a [delete delete delete]. I can’t tell you the second one because I’m going to use it for real and I don’t want anyone stealing my idea, much less the position I’m after. But I promise to let you know if I get the job. If you come up with a really fresh c.v. (creative vitae) of your own, send me a snapshot and I’ll post it on my blog. Hi. My name is Terry Portillo and I’m a blogger. My blog, Generation HR, was originally intended to be a forum for fellow Human Resources professionals. Sadly, most of the HR conferences I attend are so boring they should be billed as Humanoid Discourses. So I decided to devote my blog to cutting edge, controversial issues rather than creating yet another digital drug for insomniacs. Consequently, my merry band of followers now includes a bear hunter in Alaska, a stoner in Colorado, a pastry chef in Texas, and a street photographer on the island of Patmos. Gotta love Social Media. It doesn’t get any more diverse than this! 1. We admit that we are powerless over Blogging and that it has taken over our lives. 2. We’ve come to believe that a power greater than The Internet can restore us to sanity. 3. We choose to become Followers of God as we understand Him. 4. We Google and take a fearless moral inventory of our online presence. 5. We admit to ourselves and our Followers the exact nature of our wrongs. 6. We’re entirely ready for God to delete all these defects. 7. We humbly ask Him to remove our shortcomings and to increase our Search Engine Optimization. 8. We make a list of all the people we’ve abused on Twitter and #makeamends. 9. Having had a social media awakening as the result of these steps, we share this message with fellow Gravatars. the courage to blog about the things we can, and wisdom to know the difference. I burned my family’s dinner while I was blogging this. Two characteristics which distinguish writers from ordinary, pen-wielding mortals are vision and style. 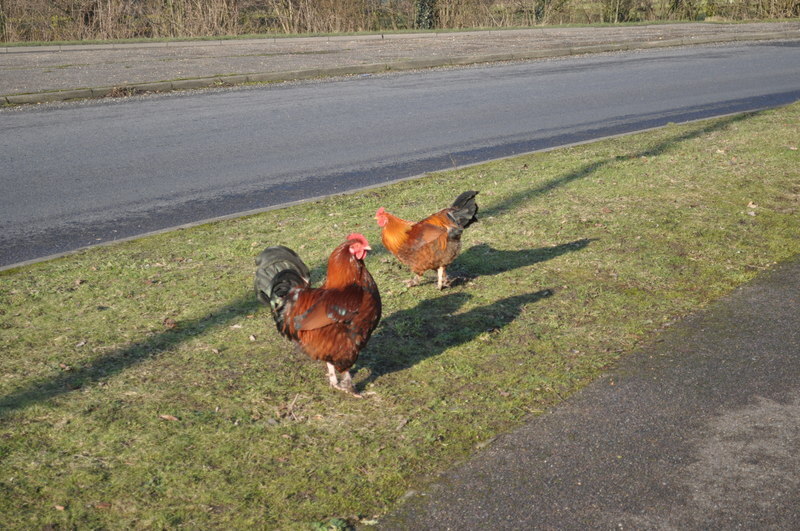 A dozen people standing on a street corner may witness the same event: let us say a chicken crossing a road. The eleven non-writers will view the chicken’s crossing as a meaningless, mundane act. However the twelfth, the writer in the crowd, will see it as a rite of passage or as a window to some universal truth. To illustrate how an author’s vision and style characterize his writing, below are some fowl adaptations of a dozen famous literary works, with my sincerest apologies to the original writers. Why DID the chicken cross the road? So he could blog about it. It’s common knowledge that the original Declaration of Independence was, for all practical purposes, written by, for, and about white male property owners. What would happen if we gave that declaration a twenty-first century makeover? The heart of the revised text might read something like this. We hold these truths — following years of eye-opening civil rights marches, presidential proclamations, and federal legislation — to have finally been made evident, that all men and all women, of all ages, races, religions, ethnicities, national origins, sexual orientations, abilities, disabilities, and perceived disabilities, are endowed by their Creator — or by One Big Bang Randomly Scattering Sub-Atomic Particles — with certain Litigable Rights, that among these are Life, Liberty and the pursuit of Equal Pay for Equal Work. To secure these rights, the EEOC, along with local, district, and supreme courts, are instituted among Men and Women and Transgenders, deriving their just powers from the consent of the governed — that whenever any Form of Government becomes destructive of these ends, it is the Right of the People to hold Tea Parties and to Occupy Wall Street and to pose questions via Facebook to Candidates Competing in Endless Televised Debates to institute a new Government as most likely to Lower Unemployment, to Raise the Stock Market, to Protect Property Values, and to keep Terrorists, Tax Collectors, and Drug Lords at bay.